Winner: British Lion Award - British Independent Film Festival 2011. The trenches of the First World War. 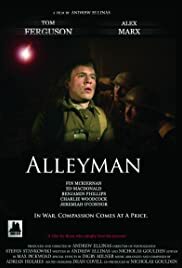 Alone on the frontline and cut off from reinforcements, a young British officer fights to keep up the morale of his small unit, but the arrival of a shell shocked soldier soon becomes his biggest challenge. When hope is lost but the human spirit endures, what is the price of compassion?